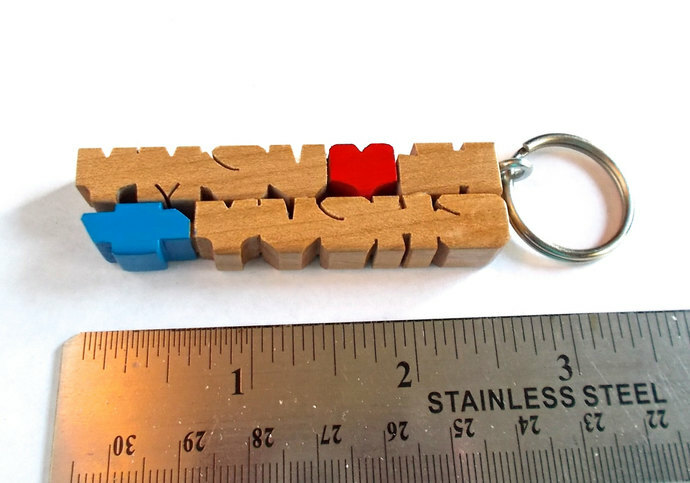 SAMPLE SALE - Two-Liner Keychain "I Love My Chevy" carved in Maple wood. 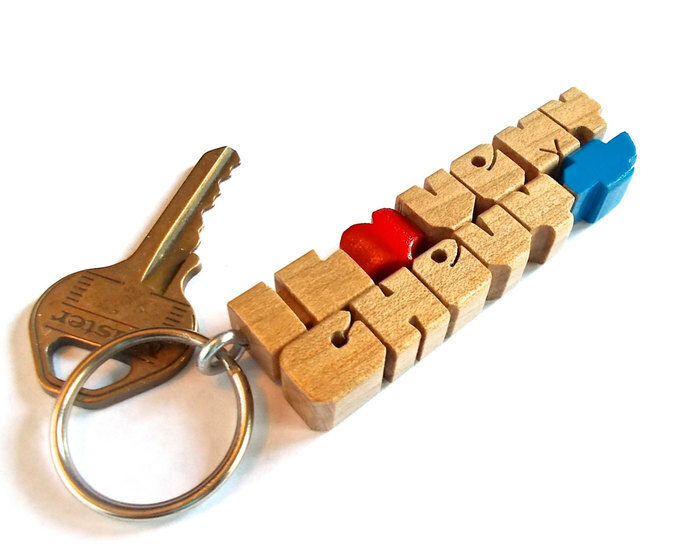 The keychain you see is the one you will receive. It measures about .75 inch high, .375 inch thick and 3.75" long. I will ship the next business day. ***Note: If you have something else to say, I custom carve these to order. Please contact me with your idea.